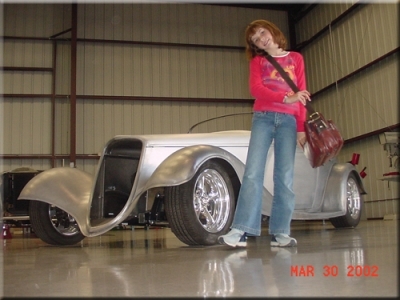 This is a page self dedicated to Ed Jaunzemis (still here, not gone yet), his family (daughters Candice, Christy and Chelsea), his friends and is about what he did, has done, is doing and will be doing. 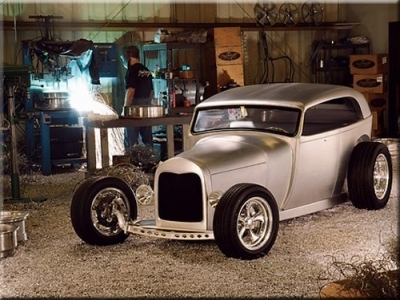 It's about being creative, inventive and giving back. 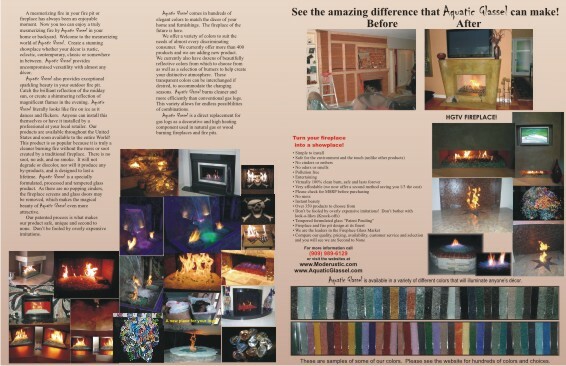 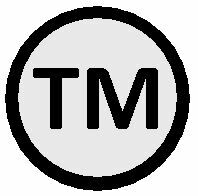 I am a master Pattern Maker, Sculptor, Inventor (I invented FireGlass as you know it today), Machinist, Glazing Contractor and I love what I am doing! 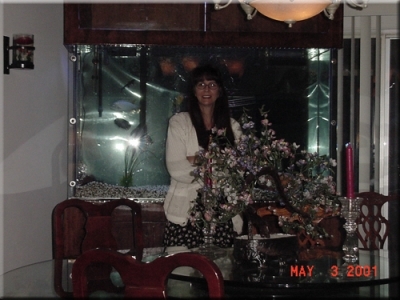 I had the Epiphany to post this page to tell the world (if it is listening) what I am doing and what have done. 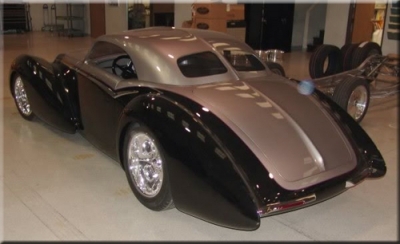 The "Whatthehaye" has lines from the French-built 1936 Delahaye, considered one of the most beautiful car designs in automotive history. 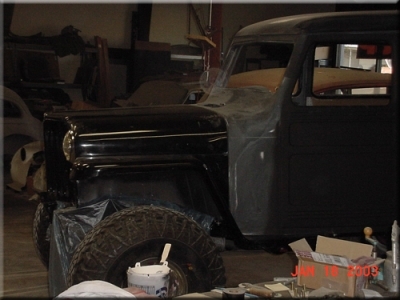 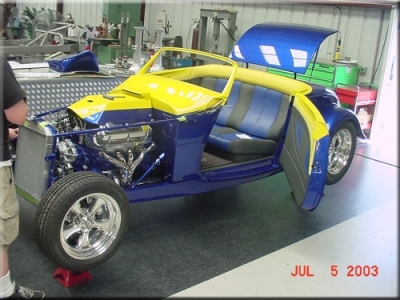 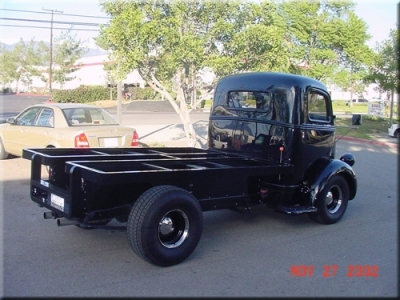 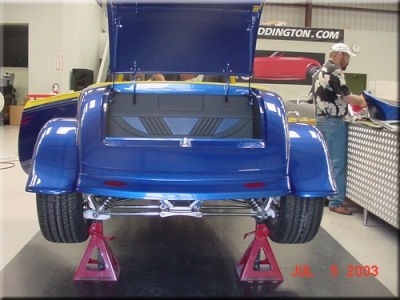 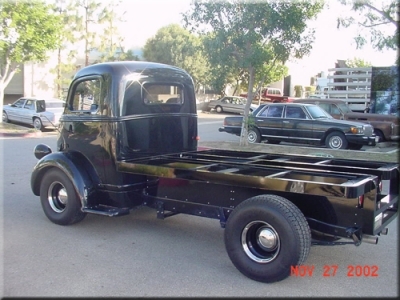 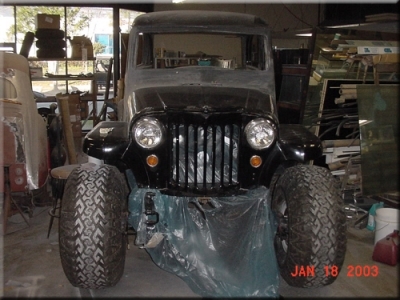 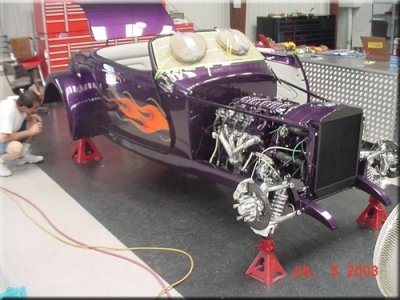 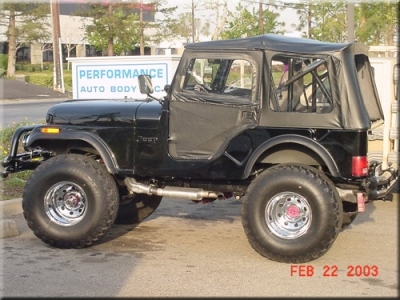 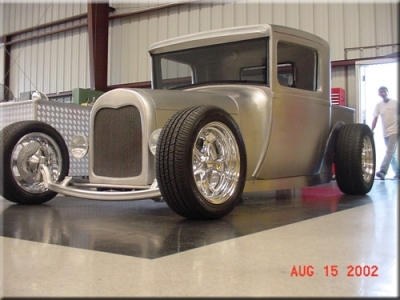 After the Whatthehaye's design was finalized, Boyd's crew began working on the chassis using Art Morrison frame rails, with an independent front suspension and a Boyd Coddington's Pro Ride independent rear suspension. 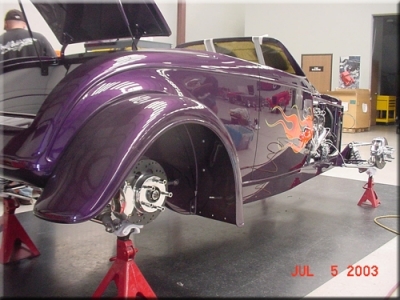 Also bolted on were Boyd Coddington disc brakes and coil-over shocks. 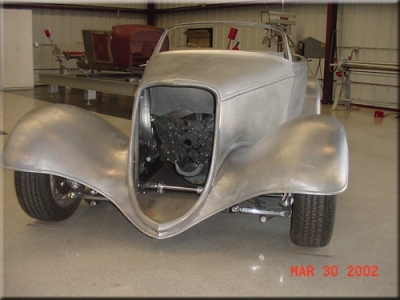 Once completed the chassis was sent to Marcel's to hand-fabricate the body using sheets of steel; the removable hard top and deck lid were shaped using aluminum. 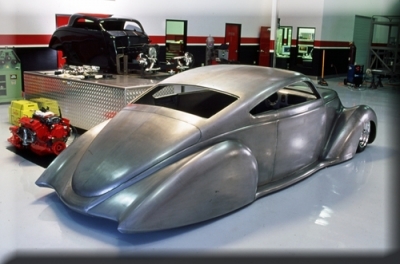 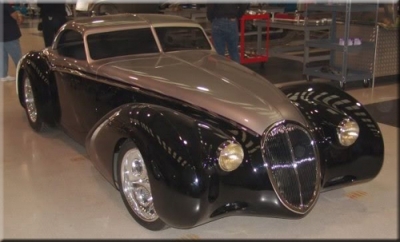 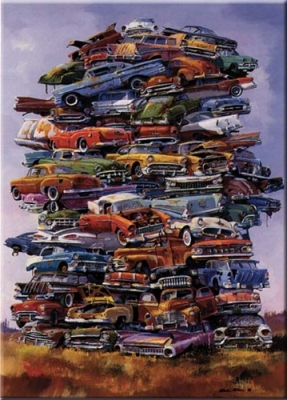 Once Marcel finished shaping the body it was delivered back to Boyd Coddington's Garage where it was pre-assembled, readying it for a DuPont silver-and-black paint scheme. 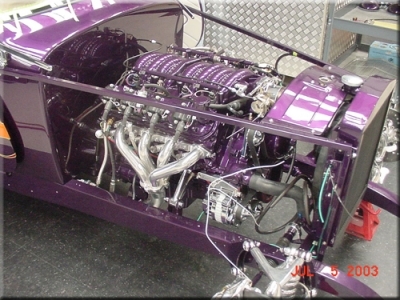 Power is supplied by a Viper V-10 backed by a six-speed gearbox. 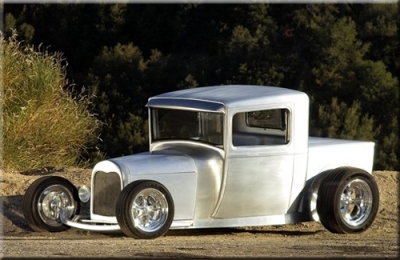 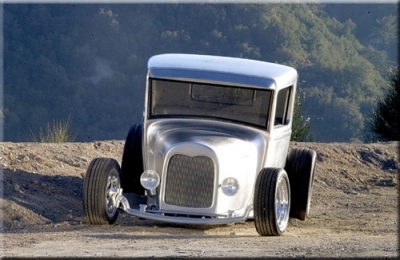 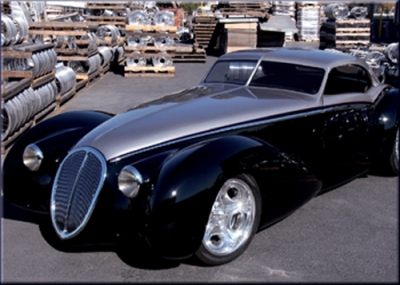 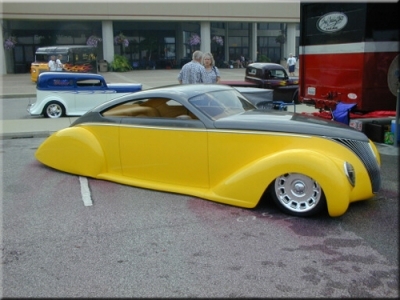 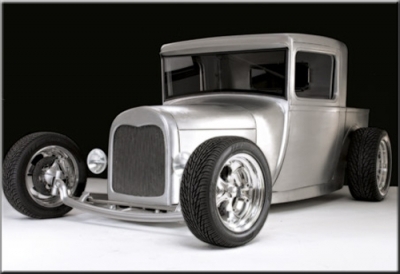 A set of 18-inch one-off Boyd Coddington billet wheels were designed for the car using Goodyear tires. 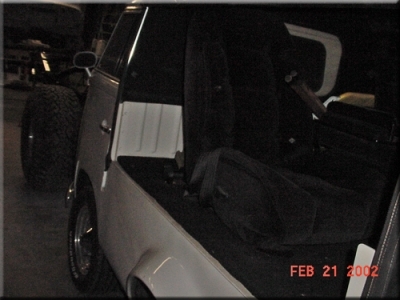 After final assembly the Whatthehaye was shipped to Gabe's for upholstery. 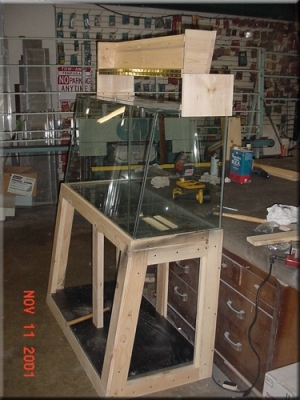 Ed Jaunzemis at Moderustic installed the glass work (Ed is the only custom fabricator we trust). 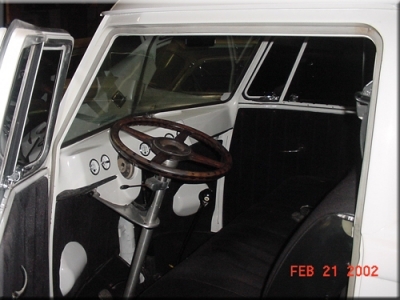 The theme of simple elegance was carried throughout the car's interior, with black leather on the seats and door panels and black carpet for the floor. 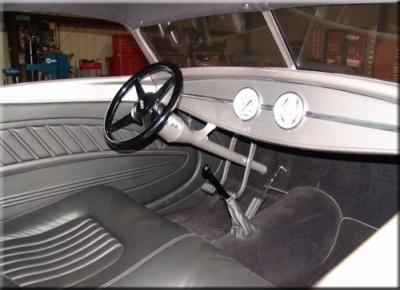 To keep an eye on the V-10, Boyd Coddington gauges were installed in the steel dash. 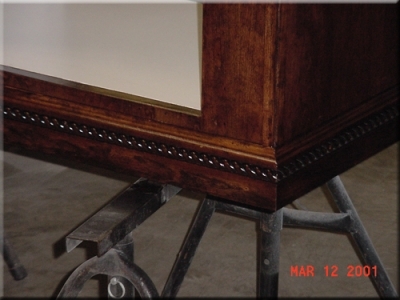 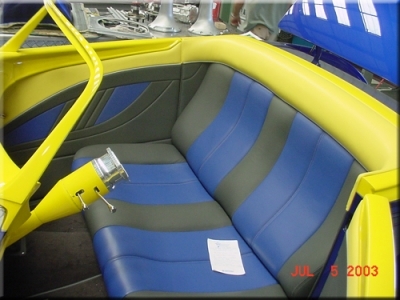 Another unusual aspect of this Coddington creation is the lack of any polished billet on the interior. 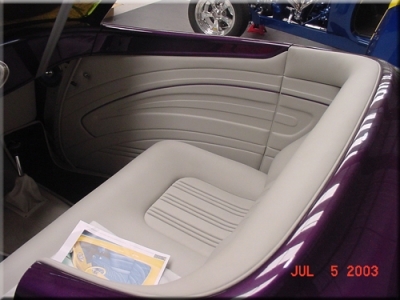 Any billet, such as the Boyd Coddington steering wheel, shifter handle and foot pedals, were anodized black, making for a very clean yet striking interior. 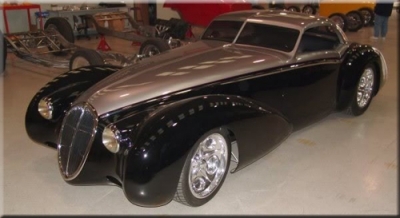 The Whatthehaye made its debut at the 2004 Barrett-Jackson Auction Gala in Scottsdale, Ariz., and took the crowd by surprise. 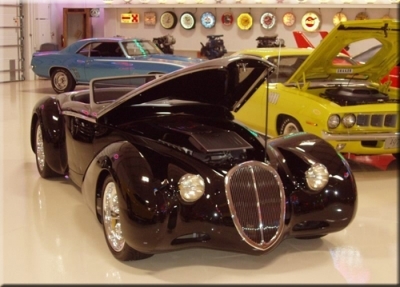 Pictures cannot do this automobile justice; it requires viewing in person to fully appreciate its beauty. 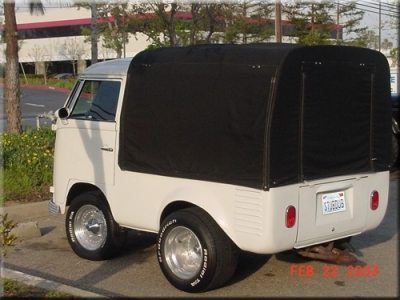 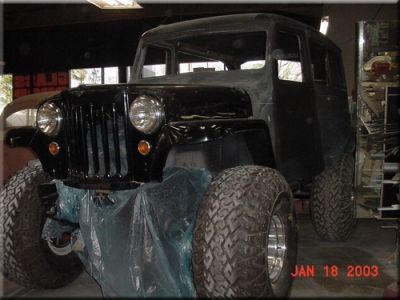 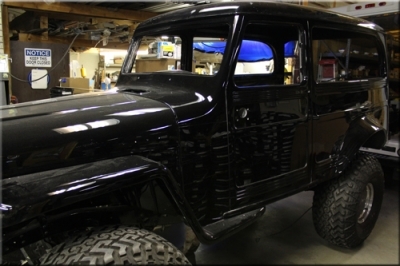 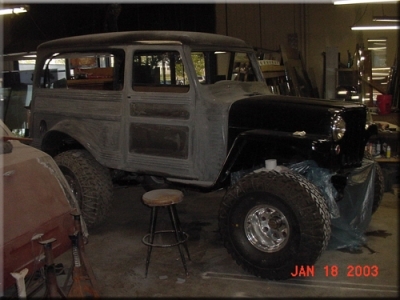 1956 Willy's Wagon, all custom, story coming! 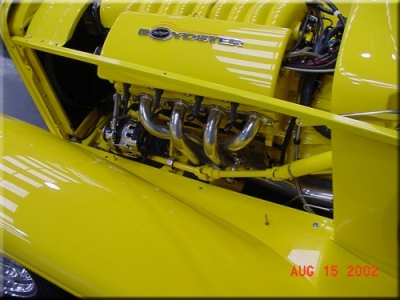 Small block Chevy, dyno at over 450 HP! 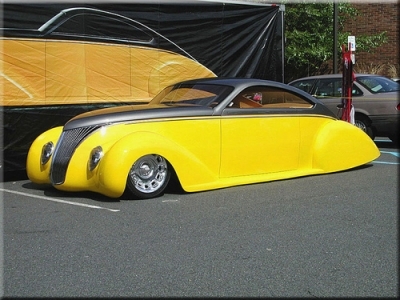 Check out the modifications. 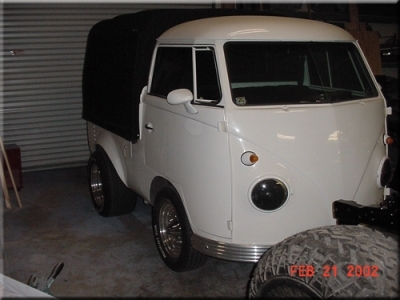 1961 Type 2 VW, 2387cc, 86 mm crank, 94 mm pistons, 265 HP! 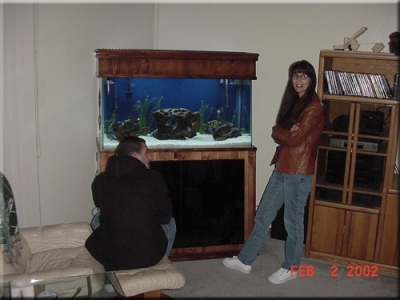 Story still to come. 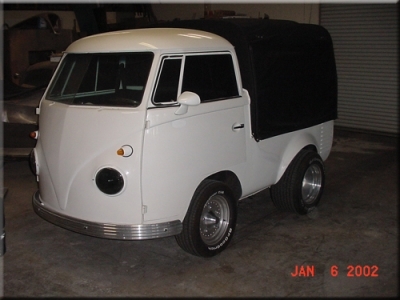 Licence is "STUBDUB", appropriate. 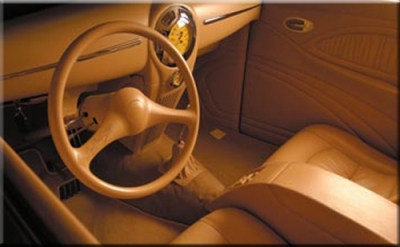 When we take this bug out, it is one of the most fun cars I have ever owned and stil drive. 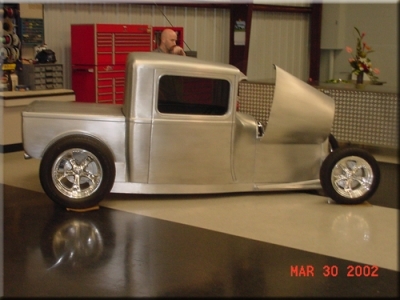 This was one of the first cars I did for Boyd. 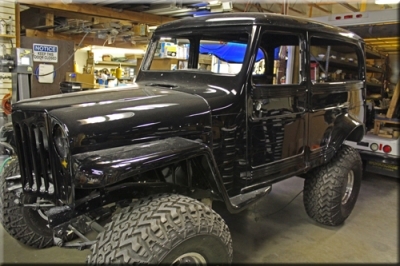 Amazing man, Amazing builder, Thank you Boyd. 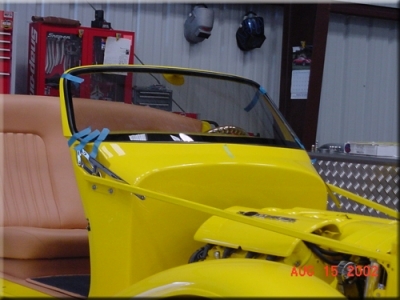 The Boydster, we installed all of the Boydster windshields for quite some time. 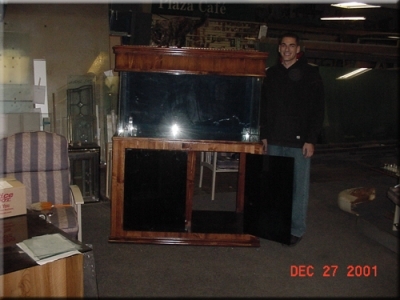 Boyd standing off to the right. 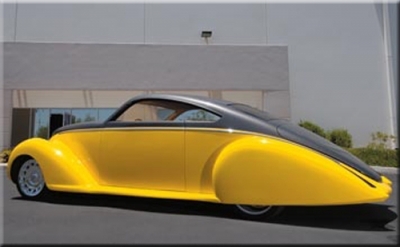 A very nice yellow Boydster! 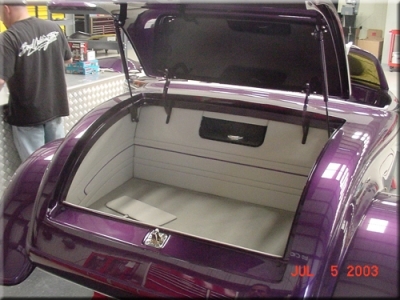 Another one of Boyds creations, nice! 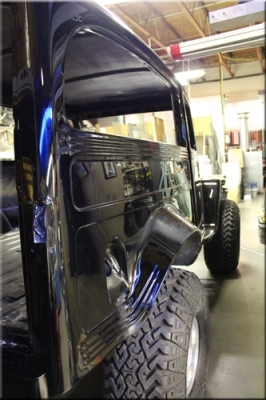 All aluminum. 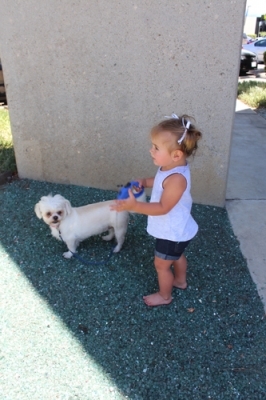 And of course Chelsea had to be there. 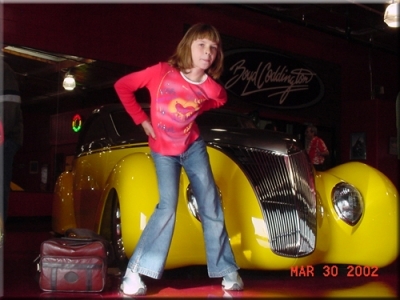 My 9 year old daughter, Chelsea posing for dad. 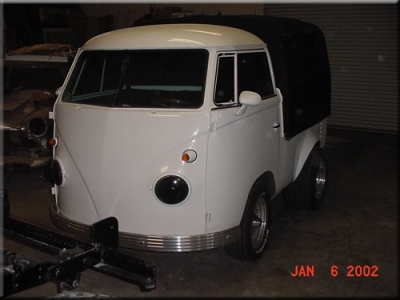 Our COE (cab over engine) just after we finished the glass work. 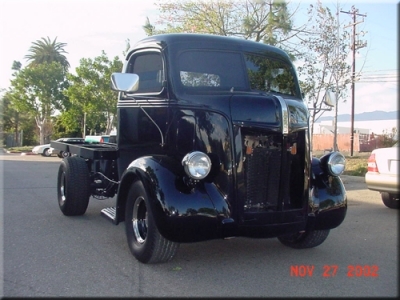 One very unique truck! 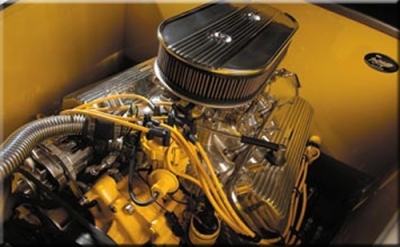 This one sat on a big block 502! 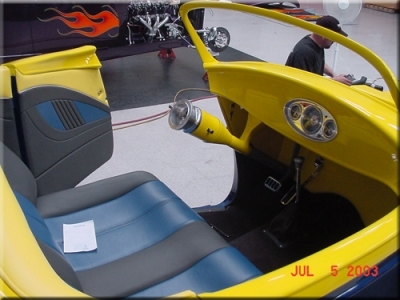 Now you're talkin' A very fun ride. 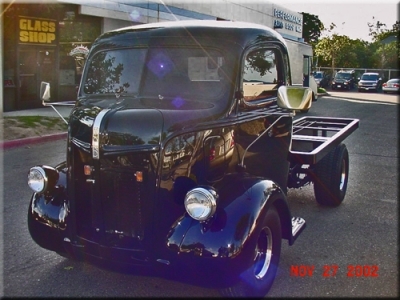 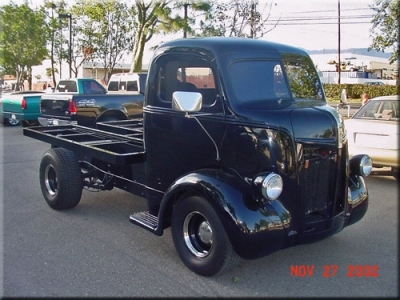 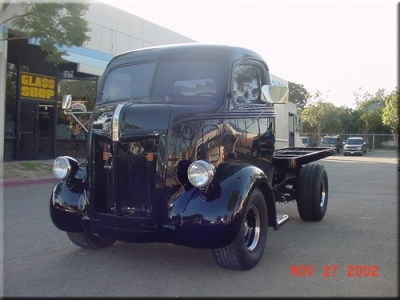 Built as a company truck but too cool to work it. 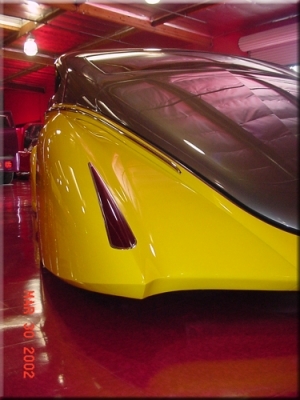 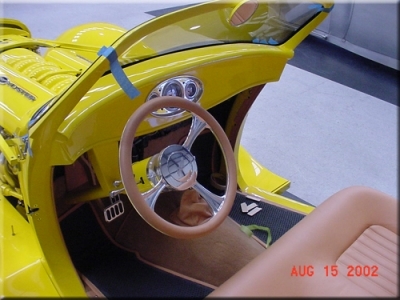 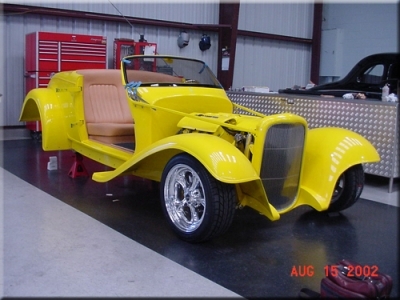 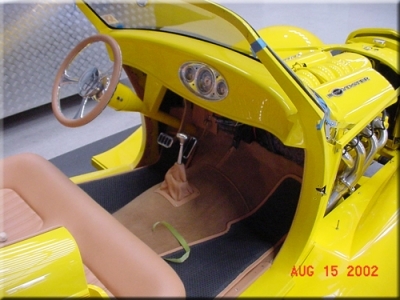 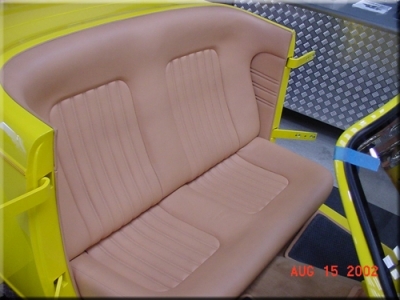 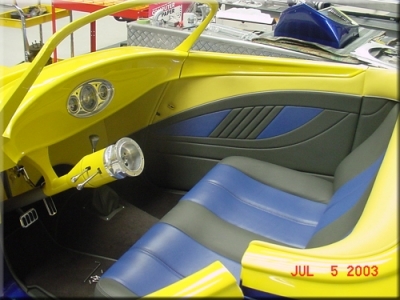 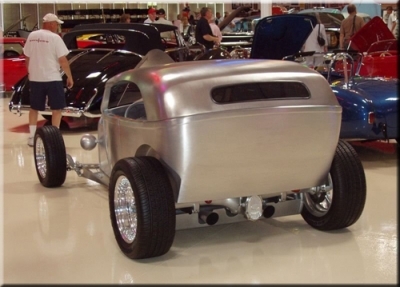 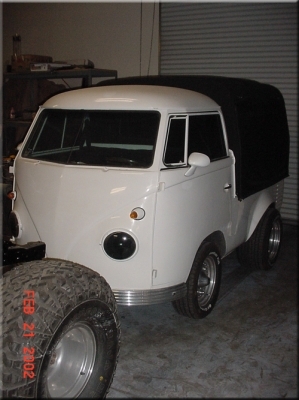 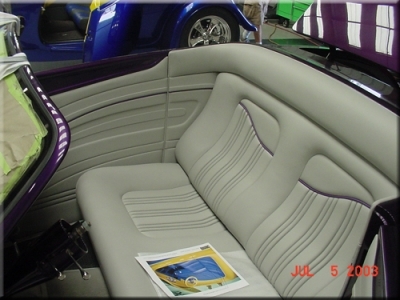 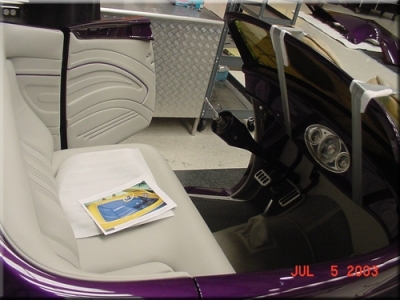 The "Aluma Tub" by Boyd Coddington, we did his custom glass work. 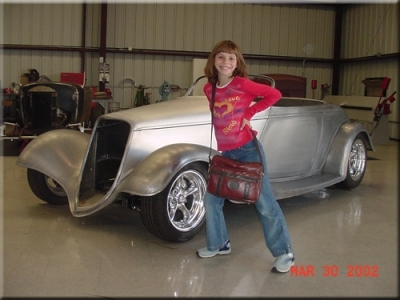 Many more pictures to come! 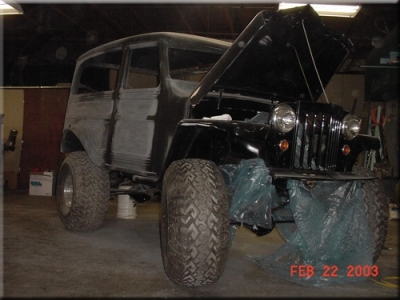 Built from ground up, pictures coming. 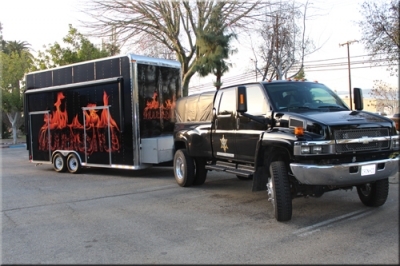 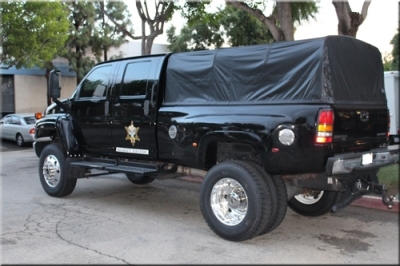 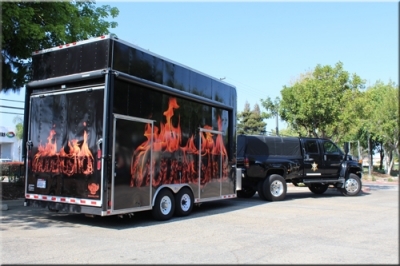 Now of course, we cannot for get about "IRONHIDE", the company truck. 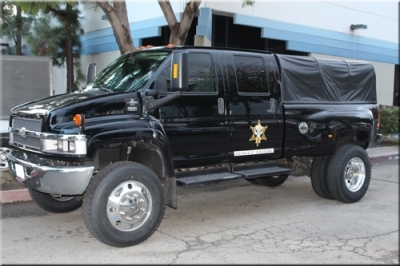 Same truck as in Transformers, just bigger and meaner. 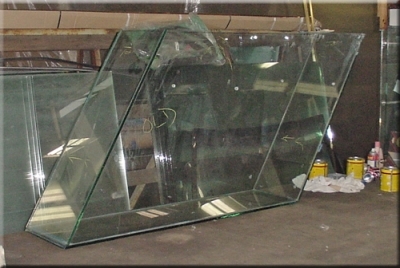 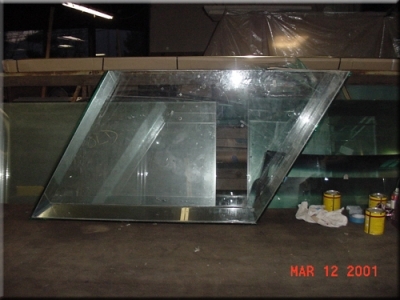 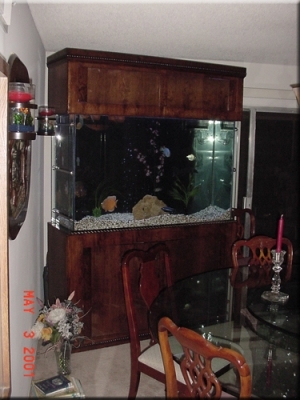 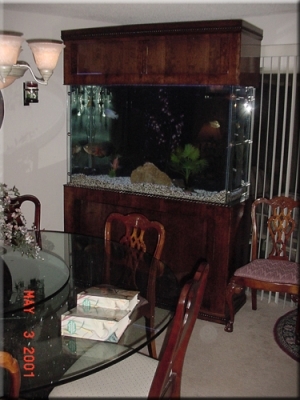 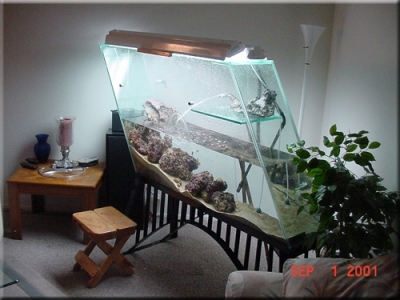 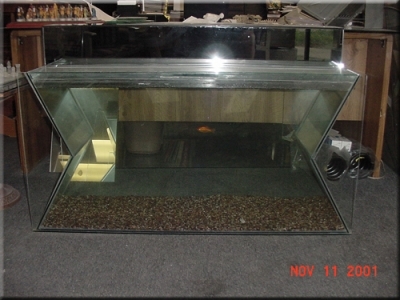 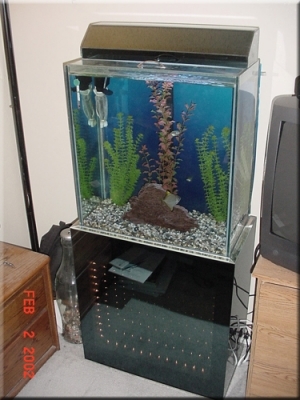 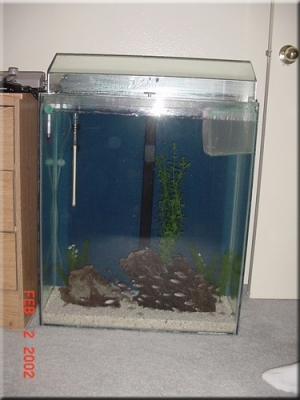 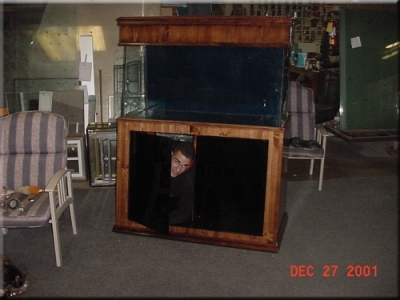 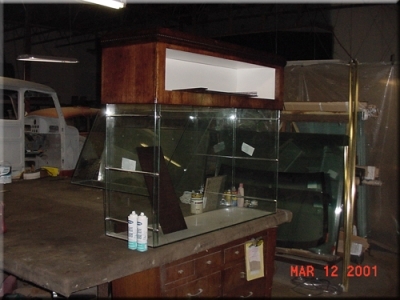 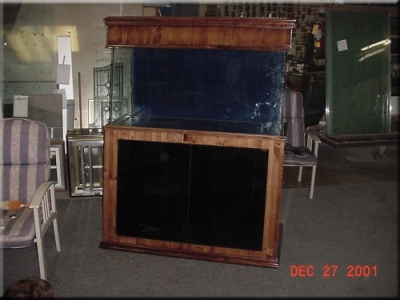 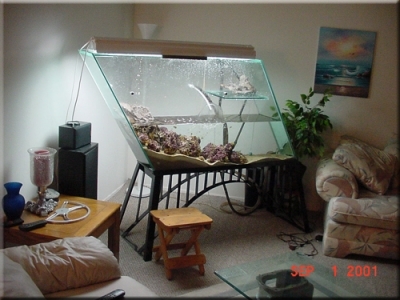 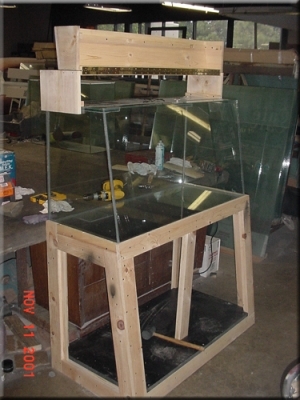 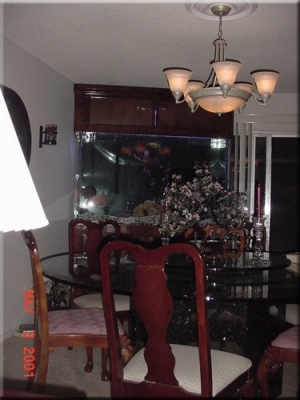 Some of the next pictures are of some of the Fish Tanks we built in the past. 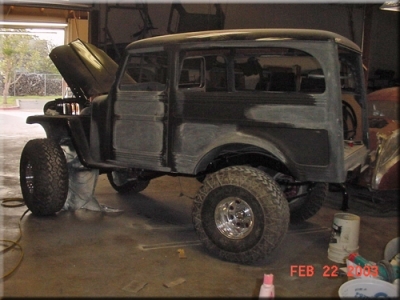 Here is just after it was put together. 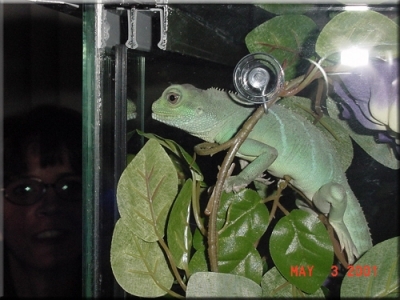 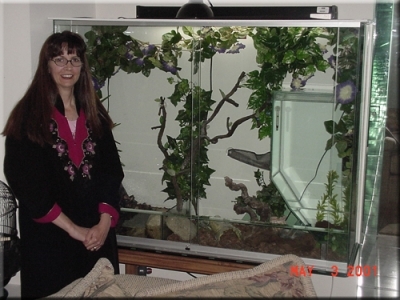 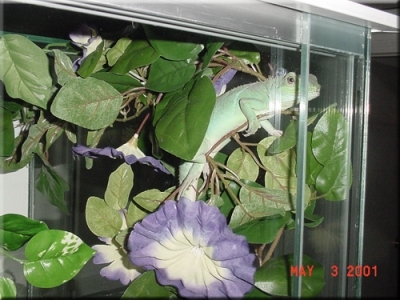 The next tank was for Claudia's Water Dragons. 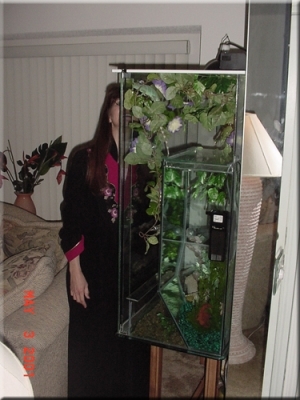 There was a fish tank inside of the enclosure along with a swimming pond. 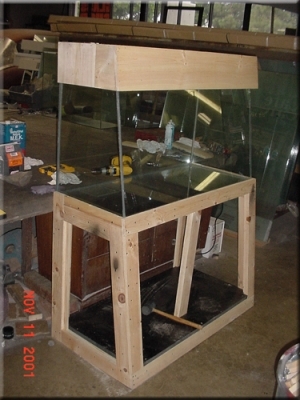 The next tank was a "Bubble Tank" we found and restored. 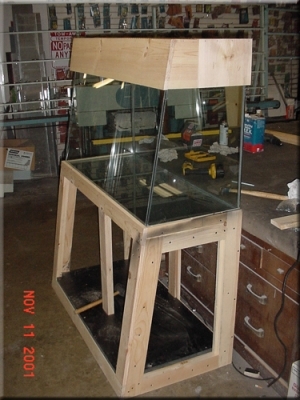 The next few pictures are from building a few tanks for my daughter "Candice" and for Jonathan, her husband now. 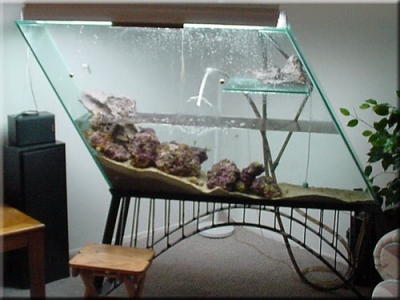 Just a simple tank below. 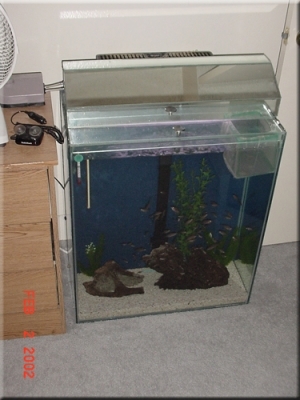 This tank below was just a silly design which was to look just different. 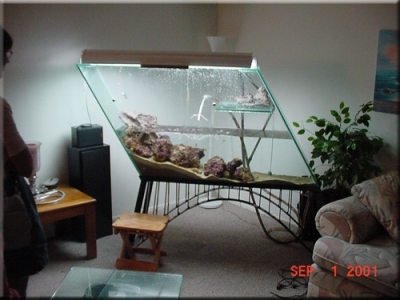 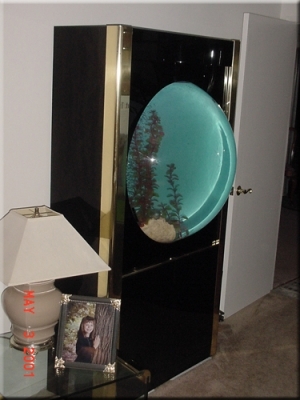 The next tank below was the first tank above, but now on a stand with an Infinity Mirror door. The tank below was made to be just different, and it is and was. 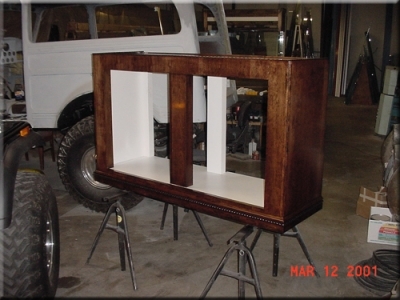 It was a fun project we built together. 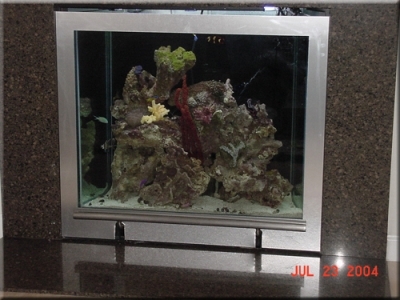 The next tank was built and installed for Jason Crebs, He waned something different, and we delivered. 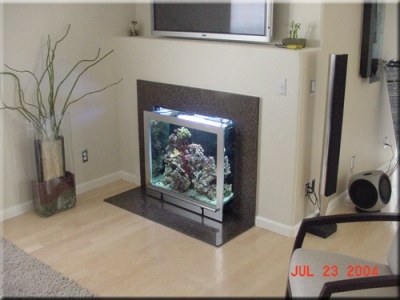 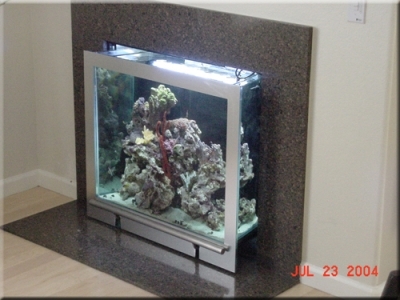 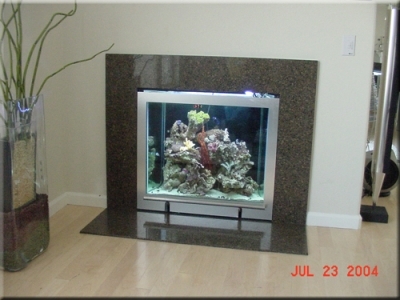 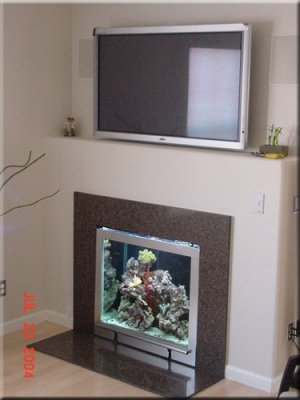 We install a rolling salt water tank in his fireplace with a built in filtration system. 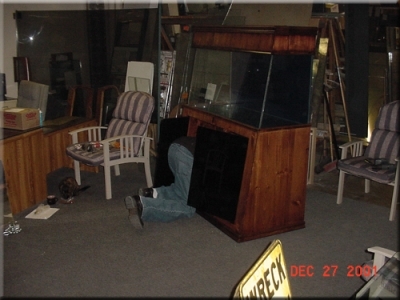 The story can only continue! 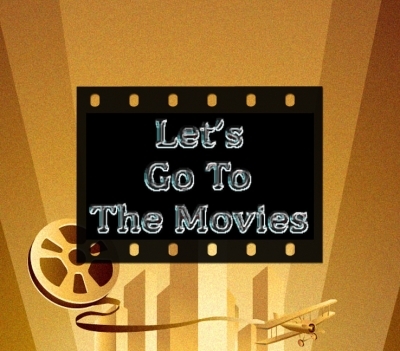 and it will!